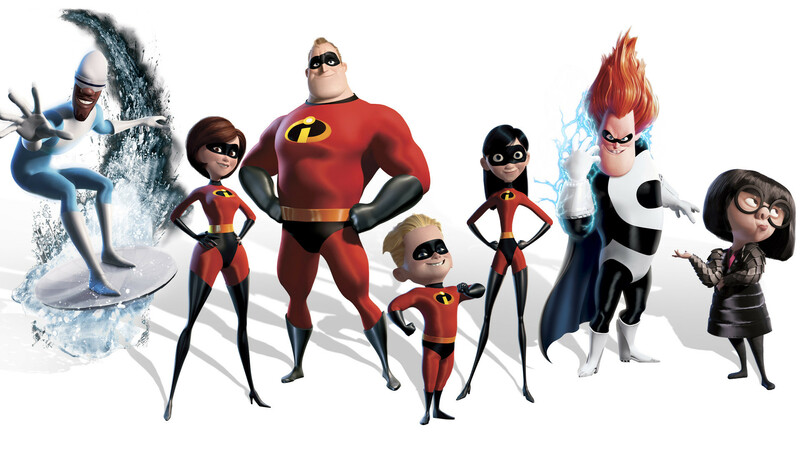 I tried to explain underminers using the example the of movie “The Incredibles”. If you haven't watched it yet then I will recommend to watch it first before reading this inspirational article. How many of you had the experience growing up of being told in various ways to limit yourselves from being all you can be? The movie “The Incredibles” is a wonderful metaphor for this. In this movie, the superheroes – the people with extraordinary powers – are restricted from using their powers. In the movie, the superheroes are finally allowed to use their powers because they are needed to save the planet. This, too, is a metaphor. We are each extraordinary in our own ways, and this planet needs each of us to fully express our gifts and talents. We need extraordinary people to step up to the plate to guide us away from fear, greed and manipulation and into caring, compassion, and personal responsibility. Fortunately, many more young people today are encouraged to be all they can be. Underminers are both within and without. Outer underminers are those people who do not have your highest good at heart. They are the people who want to use you, blame you, manipulate and control you, and try to limit you. They are the people who are threatened by you being all you can be. They are the people who want you to care-take them rather than take responsibility for yourself. These people can be family, friends, or co-workers – anyone in your life who does not support you in being all you can be. It is sad and lonely when the people who say they care about you, instead do all they can to control and limit you. However, as adults it is the inner underminers who cause the most damage. The inner underminers are the wounded parts of ourselves that hold our limiting beliefs – the lies we learned about ourselves, and others. These underminers shout lies to us that cause our fears and anxieties and keep us from fully manifesting all that we are. Robert is unhappy in his relationship. His girlfriend, Marian, just wants to be taken care of. She is often very angry at Robert when he wants to spend time with friends or even time alone, and does not support him in what brings him joy. Suzanne was the “smart one” in her family, while her sister was the “pretty one.” Her parents undermined her by telling her over and over that she needed to learn to take care of herself because no man would want her. Now, a successful and attractive woman, Suzanne’s underminer constantly tells her, “You will always be alone. You are not meant to have a relationship.” Because of her underminer, Suzanne approaches relationships with a chip on her shoulder, creating the rejection she is hoping to avoid. 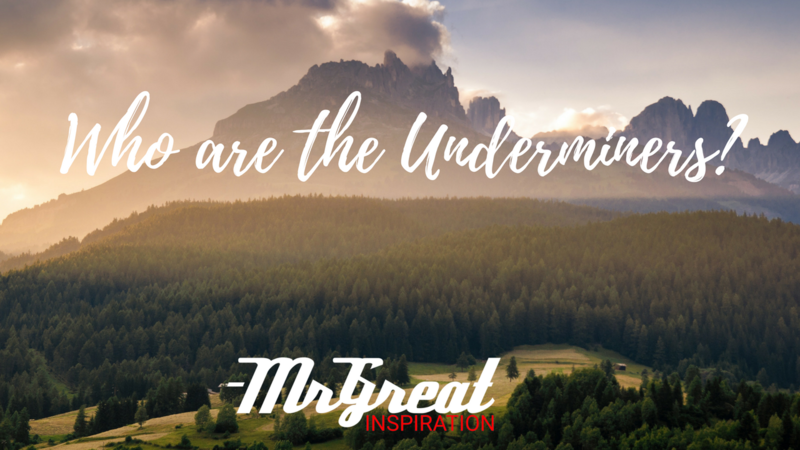 The underminer – undermining your happiness, peace and joy. Why not be a superhero and stop listening to the underminer? We hope guys you find our article "Who are the underminers?" by Mr Great Inspiration useful.